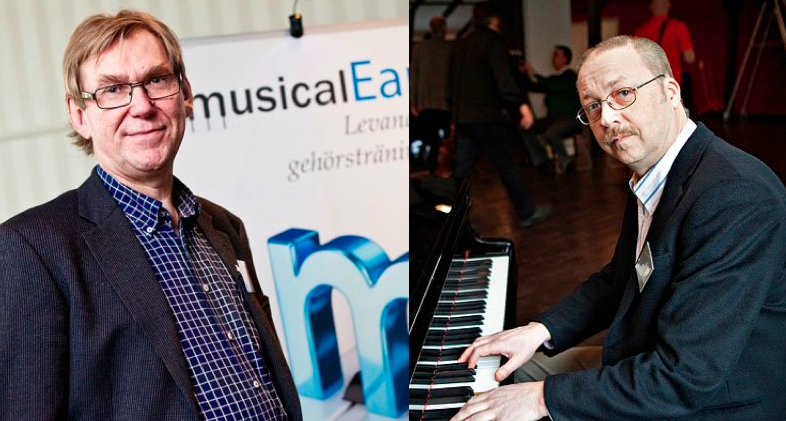 Carl-Axel Andersson and Björn Roslund are composers and pianists, and lecturers of Ear Training at the Malmö Academy of Music, Lund University, Sweden. They are composers for the MusicalEar ear training and music theory software application. Who or what inspired you to take up music and make it your career? CA: It was probably a combination of early piano studies and academic studies while I was in my early twenties. I also had a very good friend, a guitarist, who inspired me a lot. And of course my love for music itself. While studying music at the Malmö Academy of Music, a very good teacher in music theory inspired me a lot. He made me interested in the construction of good music, whatever the genre. How did you come up with the idea of creating MusicalEar, a software programme for ear training and music theory based on your compositions? CA & BR: Years of teaching experience in different types of schools and levels taught us a lot. We both believe that good (and efficient) teaching in ear training somehow needs to be based on, or connected to “real music”. We also believe in (the necessity of) integrating ear training with other music subjects. So that is basically what MusicalEar is all about. How can MusicalEar help music students, music teachers and musicians? If you are a music student or a musician you can improve your aural skill and knowledge in music theory with MusicalEar.MusicalEar will improve your aural skills and deepen your music awareness (understanding) and thus make you a better musician. It provides a fun learning experience with interactive learning activities. If you are a teacher, you can use it as a teaching aid in the classroom, or for homework. Which compositions in MusicalEar are your personal favorites? That is a hard question to answer since all of the songs are designed to fit a special purpose in the program. But I like listening to “Twisted Blues”, “On the Prairie” and “You can lean on me”. Other favourites are “In Between”, “Harmony Scene” and “Dorian Tango”. When we listen to music, we associate and relate to the music we have heard before – our musical experience. Developing aural skills involves practising the ability to hear new things in the music and learning to put names to what you hear. Having a good ear for music doesn’t necessarily mean being good at writing down (notating) music, but this does contribute towards a better understanding of music. This is one of MusicalEar´s most important aims. MusicalEar is a versatile tool for conveying a better understanding of music (which might be the most fundamental challenge for aspiring musicians). This makes it a new, unique learning tool for improving and deepening aural skills and knowledge of music theory. We are working with a number of new exercises for the part of MusicalEar called “Exercises”, for example Chord Progressions in minor keys and a set of exercises in rhythm. We also have a number of new songs to add to the part called “Songs”. Ten years is a long time to grasp. 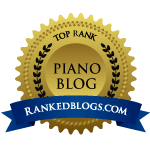 But we will certainly still be working with improving MusicalEar towards making it the best computer based tool for improving your aural skills, probably translated into many languages.